Welcome to Six Flags Great Adventure. The first coaster of the day would be Superman: Ultimate Flight. This is a great flying coaster that was built by B&M. Next door is the Green Lantern. This is a stand up coaster built by B&M. 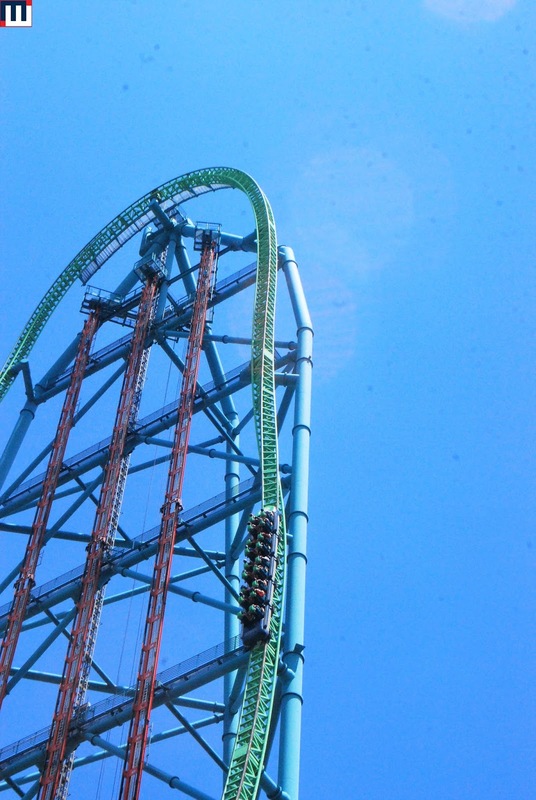 Zumanjaro: Drop of Doom is a 415' drop ride that plummets its riders at speeds of 90 mph. 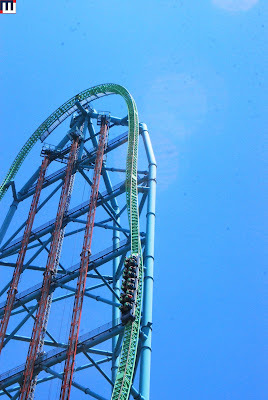 This is Kingda Ka is the current tallest and fastest coaster in the country. The ride towers over everything at 456' tall. The ride ends with this large hill that slows the train with magnetic brakes as it descends. El Diablo is park's super loop. El Toro is the park's amazing air time machine. You will be out of your seat most of the ride. Runaway Minetrain shares the lake with El Toro and the Skyride. Here the coaster is flipping over the ride's marquee. I am happy to report that the fire effects are working again on the ride. The Log Flume has a huge waterwheel - and some large drops. 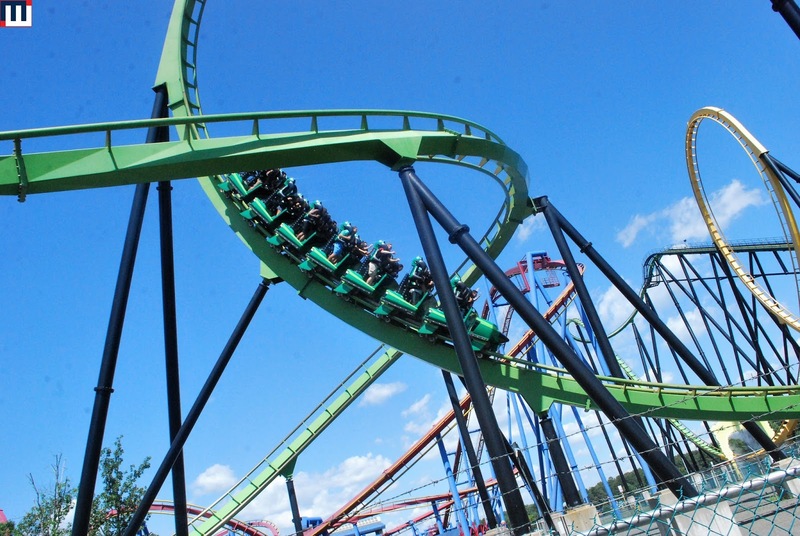 The park's newest coaster is The Joker. This is identical to the other S&S free-fly coasters that have been installed at other Six Flags parks across the country. They are a lot of fun. Next door, the coaster has been rethemed to Harley Quinn's Crazy Train. Houdini's Great Escape is a classic Mad House attraction. Skull Mountain is an indoor rollercoaster. Batman the Ride is the park's inverted rollercoaster. This is quite the intense ride. Also in this area is the Dark Knight - an indoor mouse coaster. The park's newest addition is the Justice League Battle in Metropolis. Final ride of the day would be the park's B&M hypercoaster is Nitro. A great ride.